If you’re like most CEO’s, your board is pressuring you to grow your sales. You suspect that you may need to invest in marketing, but it’s a bit of a ‘black art’. Who wants to throw away cash on expensive programs with questionable returns? Should you hire a marketing executive? You’ll probably want them to focus on strategy, organization and positioning in the first 3-6 months. But after that, it’s all about execution. Do you need a spokesperson with executive gravitas? Can you find all of these in one person? What experience is most important? Will your marketing needs change over time? 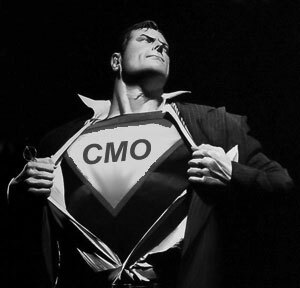 If this were easy, the average cmo tenure would be longer than 22 months (12 months at tech companies). We’ve been there, done that. We’ll work with you to identify your biggest marketing opportunity gaps. We can author an executable marketing plan that will position you for market leadership and sales growth. We can design an organizational chart that will build requisite competencies in the key areas that will give you a material sales advantage. We can even help with recruiting the right team – eliminating the risk of getting the right “people on the bus”. Want us to execute programs? We’ve got a deep team of experts covering disciplines from marketing automation, writing, PR, advertising, social media, graphic design, naming, to usability research. How would you like to work with us? We’re flexible. You can hire us as an interim vp marketing, retain us for a certain number of hours a week or carve out a specific project. Contact us for a free consultation.